Last reported quarter 2018 Q4 it was ¥134.83 million, up by 22% year-over-year from ¥110.17 million. From ¥363.27 million in 2017 it increased by 27% to ¥462.02 million in 2018. 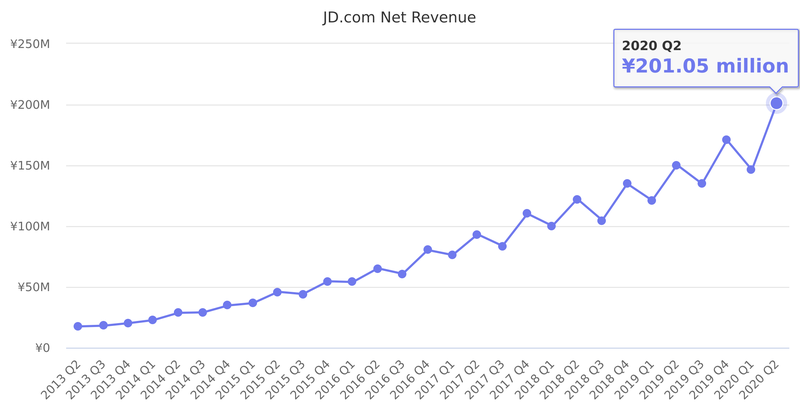 Source: JD.com Quarterly Results. Local currency used, not US$.